FRANK JAO from Rosalynn Carmen on Vimeo. That has been a kind of mantra for Frank Jao ever since he fled Vietnam for America in 1975. Without money, without any specialty, without any idea what he would do, Jao ended up in Orange County, via Camp Pendleton, which handled thousands of Vietnamese refugees after the fall of Saigon. Without any knowledge of his new surroundings or any experience in the United States, he knew one thing – whatever he did he had to work harder than anyone else. “I told myself that if I worked three times as hard and left no time to spend the money I make, in ten years there will be a huge accumulation and that will give me the capital to start,” said Jao. Jao was only three years off in achieving his version of the American Dream my becoming the driving force behind Little Saigon in Orange County’s Westminster, which boasts the largest concentration of Vietnamese outside of Vietnam. Recognizing the strong population base of Asians, including Cambodians, Thai and Laotians, Jao saw the possibilities of something akin to “a small Vietnamese town” to not only mirror his culture and its commerce, but to represent the immigrant story of America. This year, Little Saigon celebrated its 25th anniversary. As CEO of the Bridgecreek Group Inc., Jao, 64, is not only the principal developer of the Little Saigon community of 5,000 Asian businesses. He also oversees numerous companies that largely include real estate development, realty services and investments. Since 1981, a good deal of his work has taken him to China and Southeast Asia, as well. 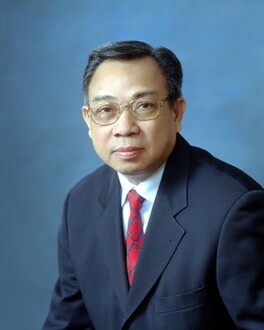 As a presidential appointee to the Vietnam Education Foundation, he has spearheaded education exchanges between the United States and Vietnam and as founder of the Jao Foundation, he has sponsored the Asian Cultural Garden that’s part of Aldrich Park, adjacent to the University of California, Irvine’s School of Humanities. The foundation also promotes academic scholarship and cultural awareness. Remarkably, Jao had little preparation for what he would become while in Vietnam. Jao was born in the north but his family moved to South Vietnam when he was 7 years old. His little business knowledge came as a manager of promotions for an American company there. After settling in the U.S. and trying several jobs, none to his satisfaction, Jao took business, accounting and construction courses. “I just wanted the knowledge that would help me in the real estate and development field,” he once told an interviewer. Opening his first business, in real estate, five percent of his clients were Asian. Six years later, almost all of them were. Jao soon turned his attention to a large tract of land in Orange County that included agriculture, old warehouses and heavy industry, which had not attracted anyone’s attention – except Jao’s. “I like to do something different. It takes a little bit of an unusual entrepreneurial spirit – a little more than motivation and craziness,” said Jao, who was soon building properties such as Asian Garden Mall and Asian Village, later incorporated into Little Saigon. “I was there, so I captured the opportunity,” said Jao. Although on the verge of retiring, Jao wants to extend his dream to other countries by exporting college-level education through his foundation while his daughter Felicia takes over running the company. “I believe the immigrant who comes to this country benefits enormously because of education,” said Jao.